Last year on Black Friday I bought an amazing 7.5 foot pre-lit Christmas tree for $69. The tree is great and absolutely nothing wrong with it, but this year I wanted a flocked tree! 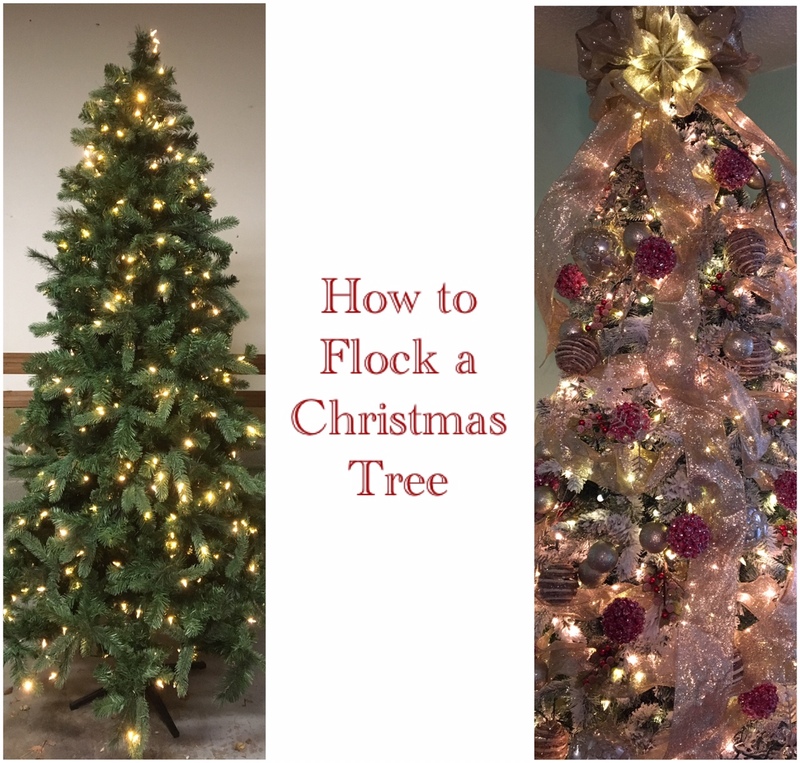 If you don't know what a flocked tree is, its one of those beautiful snowy white trees. Even though I got an awesome deal on my tree last year, I just could not justify buying a new tree just for the snow. So, I did a little research and decided to give it a shot myself! Here's what my tree looked like before I started. I gave it a good fluff and assembled it in the garage. You want to do it in an area that allows easy clean up or outside. 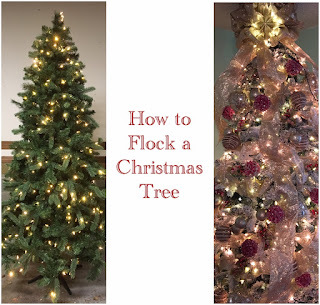 There aren't many materials required for flocking a tree. I ordered Sno-Flock brand flocking online and the bought a sieve, mask and a water sprayer. The first step is to make sure your tree is unplugged and then generously spray it down with water. The water allows the flocking to stick to the tree. Then I used a step-ladder to start at the top of the tree and sift the flocking over the tree, working my way towards the bottom. The directions suggested spraying the flocking as it was sifted on to the tree, but I obviously wasn't coordinated enough for that so I just sifted in on at this stage. After I generously coated as many branches as I could, I then sprayed the whole tree again with water. Water activates the flocking and bonds it to the tree. I was already loving the look of my tree, but it still didn't quite have the "look" I was after. I needed to fill in a few spots in between branches etc. so I lightly added in a coat of cheap white spray paint through the tree. I then gave it another spray of water, another sifting of flock, another spray down and then I gave it a good sprinkle of glitter all over! This is the final product before any decoration. I'm sure many of you are wondering how the flocking stayed on the tree from the transfer from the garage to the living room. It actually stayed on pretty well. There was of course some flaking off, but it stayed pretty well for the most part. I however, don't think this tree will be making it back into the box this year. I will probably just have to carry it to the shop and place a drop cloth over it until next year. All in all I am very pleased with my new tree and saved a ton of money flocking it myself vs. buying a whole new tree! It was very easy and I'm glad I did it. Here is the final product all decorated up and I love it! If you want to watch the videos of the whole crazy process, then here they are!